Understanding bedload transport in rivers is fundamental to managing for river resilience, avoiding flood risk and promoting biodiversity. Recent developments in passive monitoring equipment now make low-cost, long-term collection of high-resolution bedload data possible and, with it, comes the potential for transforming our understanding of how rivers function. The 2018 Sustainable Earth Institute Creative Associate Award enabled collaboration between Dr Peter Downs, Associate Professor in Physical Geography at the University of Plymouth, Dr Philip Soar (University of Portsmouth), Plymouth-based open data firm The Data Place, and the creative technology company Controlled Frenzy. 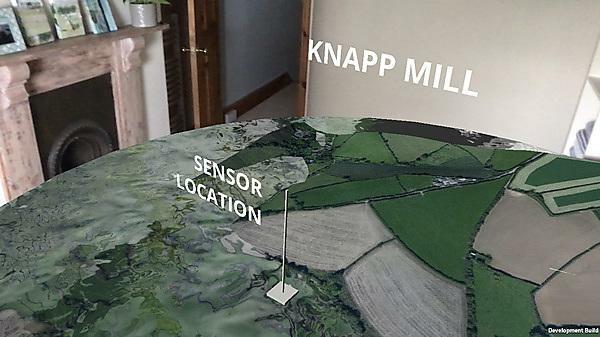 The project has developed an open data platform for storing, interrogating and visualising high-resolution bedload data, using an initial data set from Devon’s River Avon. The Avon data encompasses five water years, making it probably the world’s longest continuously monitored bedload dataset from a portable monitoring station. The project focused on accelerating the uptake and use of bedload data by researchers and practitioners through discussions leading to the development of an interactive portal for sharing, manipulating and creatively visualising such data. An interdisciplinary workshop to publicize the project was held in May 2018. The workshop bought together researchers and river management professionals representing regulators, water utilities, local authorities and the third sector: Peter Downs explained why understanding bedload is important for managing flood risk and biodiversity; The Data Place discussed the value of open and shareable data; and Controlled Frenzy demonstrated ways of visualising and using the initial data. The workshop gave participants the opportunity to discuss and share ideas for taking advantage of this newly available bedload data resource and to make recommendations on how to maximise the benefits of an open data platform – there was considerable interest in how contributing ‘local’ data to a shared resource potentially creates a much greater impact during a time of dwindling budgets for project monitoring. The Data Place is hosting the Sustainable Earth Institute project bedload data and associated sediment transport model on a dedicated cloud-based open data infrastructure, with an associated site for posting blogs and new visualisations. Visit the website for more information. Over time, the project team hope to reach researchers with similar data sets and encourage them to host their data on the website. This project has introduced a new way for academics, river management practitioners and creative technologists to collaborate. It is hoped that the benefits of data sharing and the development of new visualisations will improve the use and understanding of this important new data resource and encourage the development of similar networks of data on natural resource topics. The Data Place is a social enterprise with a mission to provide data services, infrastructure and tools that: support communities through open access to critical data; foster a more collaborative and growing data ecosystem; and provide the means for organisations to better serve themselves and their stakeholders. Overall they believe that finding, publishing and using open data needs to be easier, more collaborative and offer a much better return on investment for individuals, organisations, communities and the planet as a whole. Controlled Frenzy is the creative prototyping, research and development consultancy of Christopher Hunt - creative technologist, builder of rather cool things. Chris works with clients to develop engaging audience-focussed technology prototypes, products, and installations to explore their data and ideas so they can grow and adapt to new ways of working, communicating and doing business.